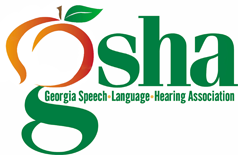 Each year, the Georgia Speech-Language-Hearing Association (GSHA) presents awards to its members at the Business Luncheon at the Annual GSHA Convention. These awards are presented to individuals who make distinguished contributions and who are recognized for professional and/or scientific achievements in the field of speech-language pathology and audiology. The Immediate Past-President of the Association serves as the chair of the Honors and Awards Board and the members include chairs of the Membership, Student Affairs, Schools, Healthcare and Private Practice, and Higher Education committee. The Board convenes prior to the Convention, review the nominations, and submit its recommendations to the Executive Council for approval. The nomination process opens on October 15th. The nomination process closes on December 15th. However, this year, it is extended till January 18th. The awards will be given out during GSHA’s Business Luncheon at the convention (Note: This year, the GSHA Business Luncheon will be on February 15, 2019.